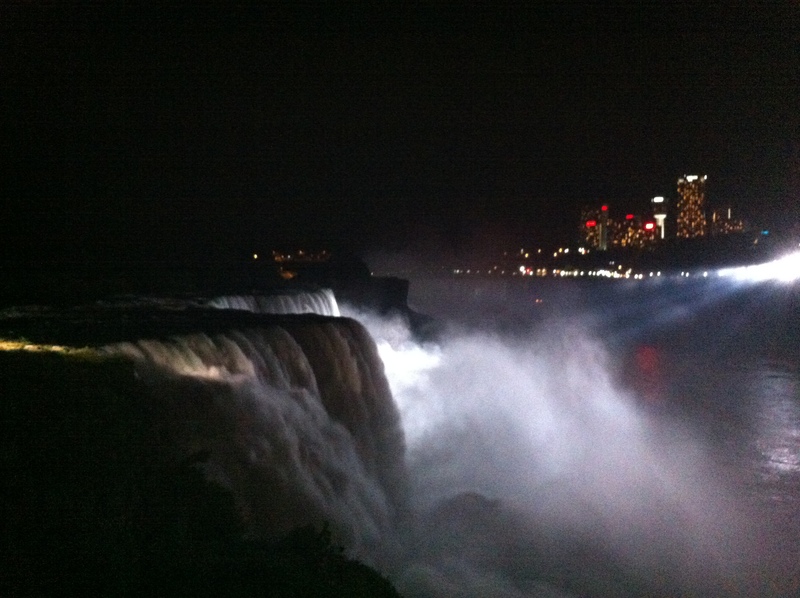 After a very long day in a car driving from New York to Niagra Falls, the dinner at the Hard Rock Café and a walk across the Niagra River to Canada to see the Falls lit up at night was a real treat. we crossed the border into Canada to get our passports stamped, then turning straight back into the USA. It’s not just children that get moments of pure joy from small things. I’m loving this, Annette. Happy trails to you!